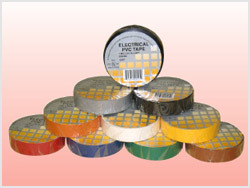 UL Listed, General Purpose Vinyl Electrical Tape is used as economic grade all purpose electrical insulating material. The high elongation allows it to be pulled down right around irregular surfaces. Vinyl Electrical Tape is resistant to acids, alkalis, chemicals, oils, moisture and corrosion.